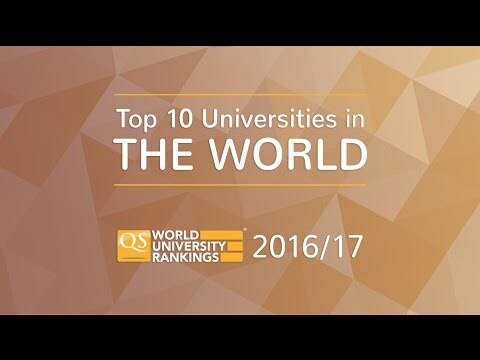 **This article is for the QS World University Rankings® 2016/17 results. Click here to discover the top universities in the US in 2018. The world’s leading international study destination, the US consistently dominates the global rankings tables – and this remains the case in the QS World University Rankings® 2016-2017. 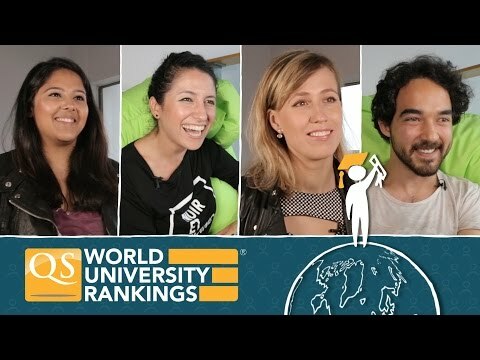 Top US universities account for almost a third (32) of the top 100 positions in the ranking, with a further 30 US universities in the global top 300. Read on to discover this year’s top 10, as well as how the other 144 top US universities featured in the ranking. The Massachusetts Institute of Technology (MIT) tops the QS World University Rankings 2016-2017, placing 1st for the fifth year running. Located in Cambridge, Massachusetts, MIT is of course known for its physical sciences and engineering, but is also increasingly well-respected for other subject areas in the social sciences, arts and humanities. Climbing one place this year to overtake Harvard, Stanford University ranks second in the world in the 2016-2017 tables. Located in the heart of the famous Silicon Valley, Stanford University and is particularly well-known for its business courses – with an alumni community full of successful entrepreneurs. Harvard University concludes the uninterrupted trio of US universities at the top of the QS World University Rankings this year. Harvard is the oldest university in the US, dating back to 1636, and achieved the top position for life sciences and medicine in the QS World University Rankings by Faculty 2015. Retaining fifth place in the overall world ranking this year is California Institute of Technology, commonly known as Caltech, located in the city of Pasadena, California. The smallest US university in the top 10, Caltech punches above its weight – particularly in scientific and technical subjects. Ranked fifth in the US and tenth in the world this year, the University of Chicago is affiliated with 89 Nobel Prize winners, and its physics department is known for developing the world’s first man-made, self-sustaining nuclear reaction. Princeton University retains its position, at 11th place once again this year. Another of the oldest US universities, it’s especially renowned for academic excellence in the arts and humanities, achieving seventh place for this in the faculty rankings. Ranked 15th in the world, Yale University’s alumni includes five US presidents and 13 billionaires, and in 1861 the university awarded the first PhD in the US. Around 20% of Yale’s 12,385 students are international, representing 118 countries. Located in Ithaca, New York, Cornell University ranks 16th in the world this year. Having awarded the nation’s first veterinary medicine degree, it currently ranks second in the world for veterinary science in the QS World University Rankings by Subject 2016. Ranked 17th in the world, Johns Hopkins University was established in 1876. Considered to be the first research university in the US, it is particularly esteemed for research and teaching in the life sciences and medicine (achieving fifth place for this in the QS World University Rankings by Faculty). The University of Pennsylvania, commonly known as Penn, is ranked 18th in the world this year. Located in Philadelphia, it’s another institution which is highly regarded for life sciences and medicine, achieving first place in this year’s inaugural ranking of the world’s top nursing schools. After the top 400, the world’s top universities are given a rank in a range, starting from 401-410, up to 701+. You can find out more here. This means they’re equally placed at joint 129th among US universities. To compare top US universities on each of the six indicators assessed by the rankings, explore the interactive results table. Find out more about studying in the US with our complete guide.